Though it has a lovely medieval center, the small city of Sibenik (pronounced shibenik) is used primarily by cruise lines as a drop-off point for cruisers headed to Krka National Park or other small towns in Croatia. 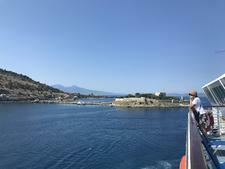 The port is typically found on Dalmatian Coast and Adriatic Sea itineraries. 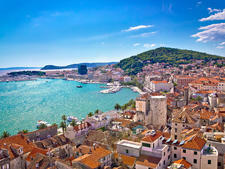 The oldest city in Croatia (actually built by the Croatians as opposed to Greeks or Romans), Sibenik was fortified over the centuries to protect its inhabitants from the Ottoman Empire and many of its medieval fortifications survive to this day, including towers and fortresses. One of the fortresses, the St. Nicholas Fortress, is a UNESCO World Heritage site (but not easily visited), as is the city's medieval cathedral. 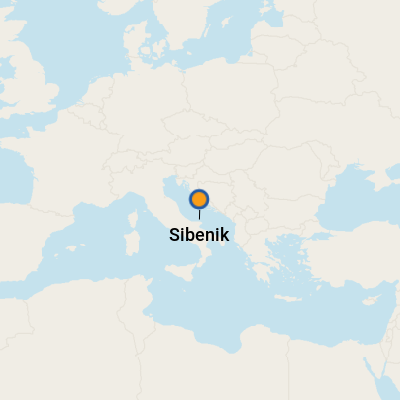 Sibenik was also marked by more recent history, as a target of the Serbians during the unrest of the 1990s (called the "Homeland War" by people in the region). Parts of the Cathedral of St. James were destroyed by bombings during this period, but it has since been restored; guides will talk about the war if you ask. The currency in Croatia is the kuna. 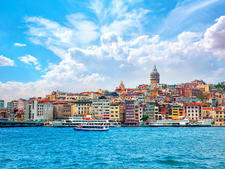 While some small souvenir spots might take euros, you should not count on it. Most cruise ship tours don't stop in the city of Sibenik itself, so it's better to get money in a previous port than try to find an ATM during your time in Sibenik. The official language in Sibenik, as in all of Croatia, is Serbo-Croatian.